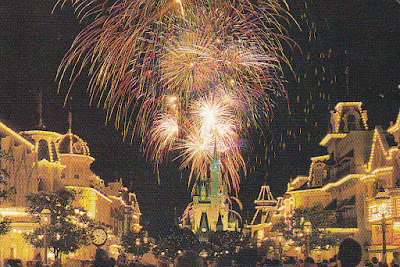 Fireworks over Cinderella Castle in Magic Kingdom, Disney World, Florida. Thanks to Van of Virginia, USA. 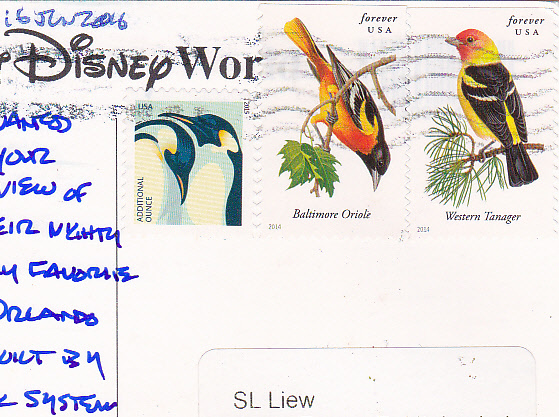 Nice bird themed stamps used. I received this postcard in 2016, misplaced it and found it again in 2018. Another great addition to my postcard collection of Disneyland theme parks worldwide as well as fireworks postcard collection.